At this past weekend's Anime Central convention Anime and manga distributor Viz Media announced that they has the rights to the hotly anticipated reboot/remake Sailor Moon Crystal for North America. The details of the release will be revealed later, but the series will begin streaming every other week from July 5th. Check out our sneak peak at the new series for more. Not only that but Viz surprised everyone by revealing that they also had the rights to the original Sailor Moon series. 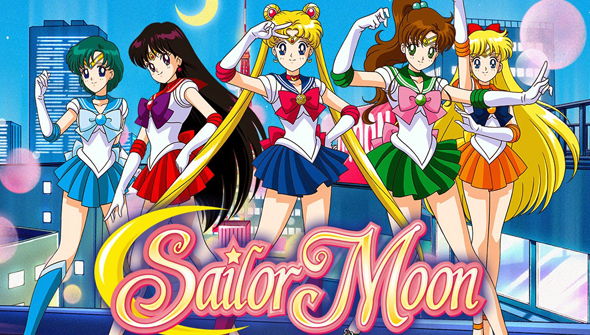 In our article on Crystal, we noted that "Sailor Moon has been curiously unavailable for the last decade or so", despite there being a clear hunger for it among fans. Obviously somebody else realised that too, so the series is being released in it's entirety uncut in English for the first time. All five seasons (comprising 200 episodes) and 3 movies will be released, completely uncut on DVD and Blu-ray. A new dub has also been commissioned. Previously the early episodes were shown on TV in considerably edited and rewritten form. Later series were released either on DVD only, or in the case of Sailor Moon Stars, never released in all. The first season was previously released uncut by the now defunct ADV, but this will be the first time the series will be available in it's entirety. What's more, the original series will be available streaming on Hulu and Neon Alley. The first four (subtitled) episodes are available now. Two episodes will be released every subsequent "Moon-Day"- see what they did there? Unfortunately Hulu is only available in the States, but readers outside the US can access it (as well as Netflix US and numerous other sites) with a free trial from UnblockUS.